Last year we asked you what you want to see in Icinga in 2015 – and we have to admit, announcing Icinga Director as config tool for Icinga 2 at OSMC, we’re pretty close in providing the most demanded one soon. 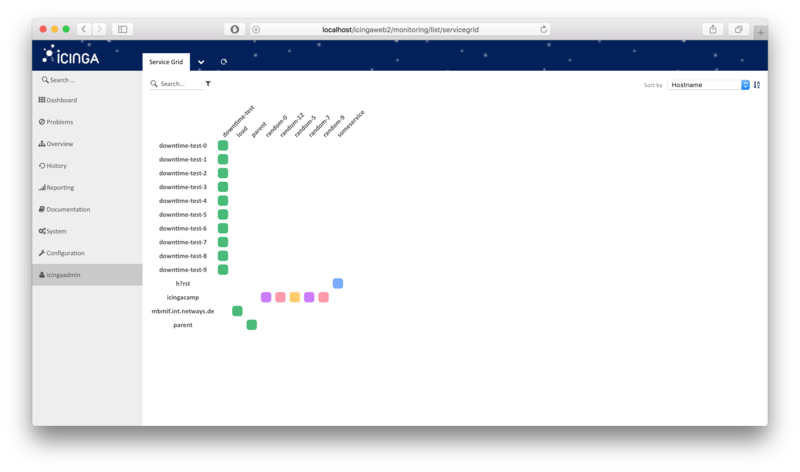 You can follow the progress on the Git repository and the Redmine project. And of course, test it and provide feedback. We’re planning to have the first release with us at Icinga Camp Berlin on March 1st 2016, so keep your fingers crossed! You can test-drive their integration inside the Vagrant box, ready for your Christmas holidays. We plan to release after the holiday season, fixing the last bugs and also providing documentation. 2015 was not only releases and features – we announced “Icinga Partners & Services” offering professional services to many of you asking for it, and we also have our own Icinga shop offering Icinga swag – if you like it you should put a sticker on it! 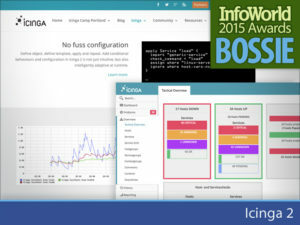 Icinga received a Bossie Award, Bernd was interviewed by FLOSS Weekly and we created our icinga2 Docker container. 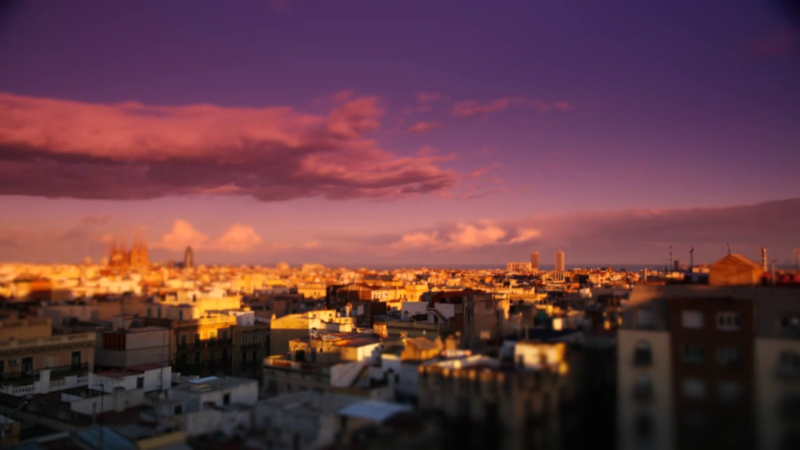 We were also travelling a lot in 2015 – Icinga Camp Barcelona, Antwerp, Kuala Lumpur & Portland and other events. We are looking forward to meet you in 2016 again, perhaps San Francisco or Berlin 🙂 Last but not least – Icinga turned 6 years in May and we welcome lots of new team members. Icinga began life as a fork of system monitoring application Nagios. Icinga 2 was completely rewritten to give users a modern interface, support for multiple databases, and an API to integrate numerous extensions. With out-of-the-box load balancing, notifications, and configuration, Icinga 2 shortens the time to installation for complex environments. Icinga 2 supports Graphite natively, giving administrators real-time performance graphing without any fuss. 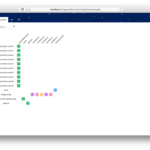 But what puts Icinga back on the radar this year is its release of Icinga Web 2, a graphical front end with drag-and-drop customizable dashboards and streamlined monitoring tools. Administrators can view, filter, and prioritize problems, while keeping track of which actions have already been taken. A new matrix view lets administrators view hosts and services on one page. You can view events over a particular time period or filter incidents to understand which ones need immediate attention. 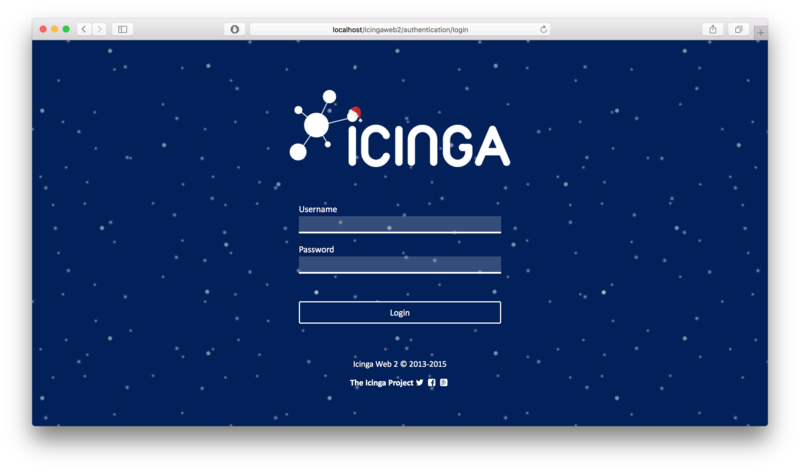 Icinga Web 2 may boast a new interface and zippier performance, but all the usual commands from Icinga Classic and Icinga Web are still available. That means there is no downtime trying to learn a new version of the tool. 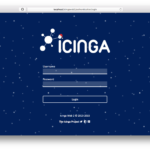 Have your own awesome story on Icinga 2? Share them with us. Long time no see … or how Kris convinced Bernd to make Icinga @ FOSDEM happen at last. Join Markus, Bernd & me (and Dirk, a fellow co-worker at NETWAYS) on this years FOSDEM 2015! We’ll be around to talk/hack/demo/do Icinga – Icinga 2, Icinga Web 2 and whatever comes to mind. And a lightning talk even. Poke @icinga on twitter for a spontaneous meetup during the events. See you in Belgium!